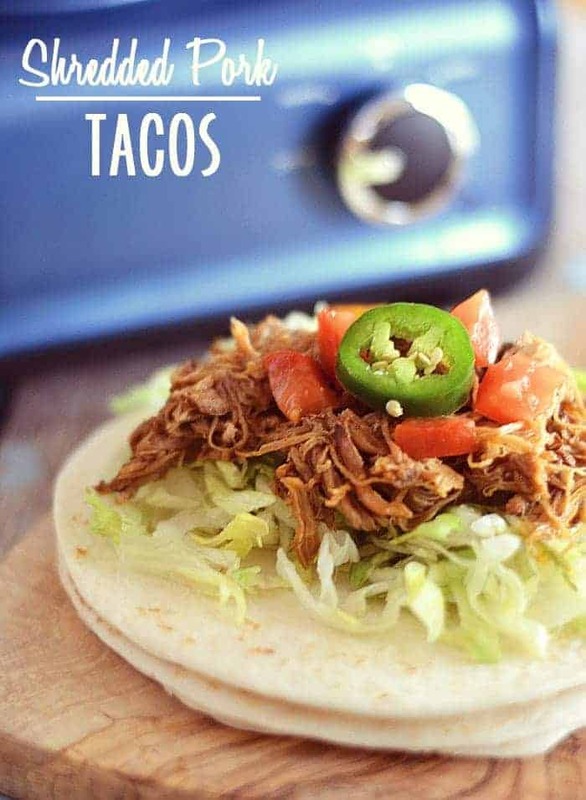 Make taco night a breeze with these Shredded Pork Tacos made with the Crock Pot Hook-Up Connectable Entertaining System. Crock pot cooking is my absolute favorite thing in the fall and winter. 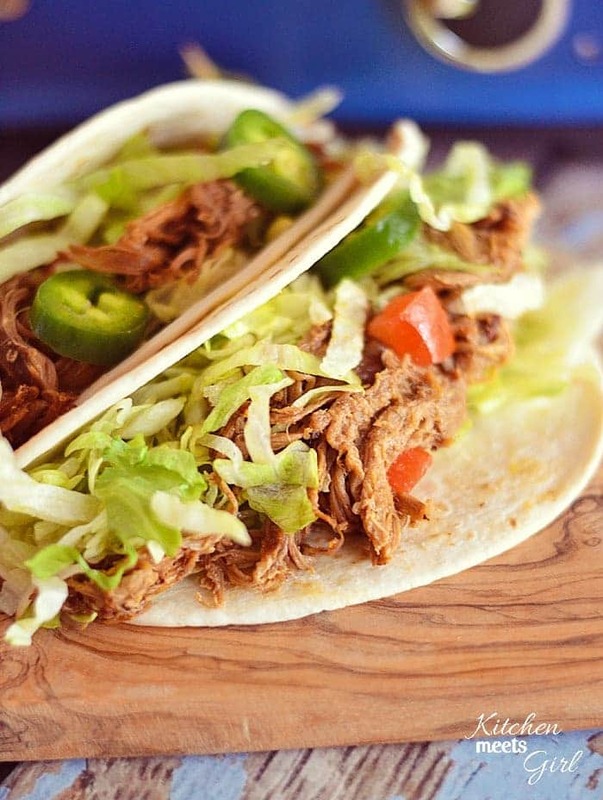 What’s not to love about tossing something in the crock pot before leaving for work in the morning, and coming home to a warm meal ready and waiting for you? 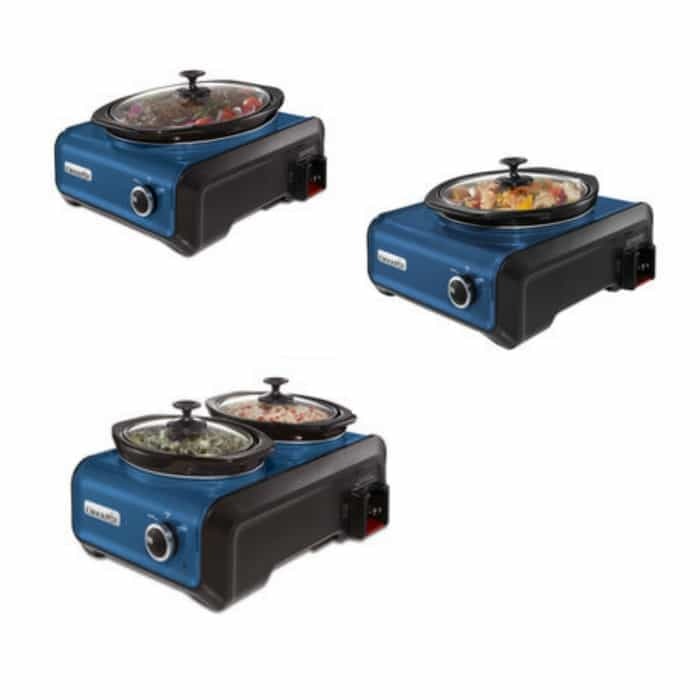 We also use put our crock pots to use big-time during the holidays when we entertain…but my kitchen is fairly small and we don’t have enough space to plug in the multiple crock pots I need when hosting. That’s why I love the new Crock-Pot® Hook Up™ Connectable Entertaining System. Super simple, no fuss, and no mess! Plus, I wasn’t searching for plug-in space or dealing with uncooperative, intertwining electrical cords. I like to get right down to the business of eating. Do you like to cook in your crock pot? Well, guess what? 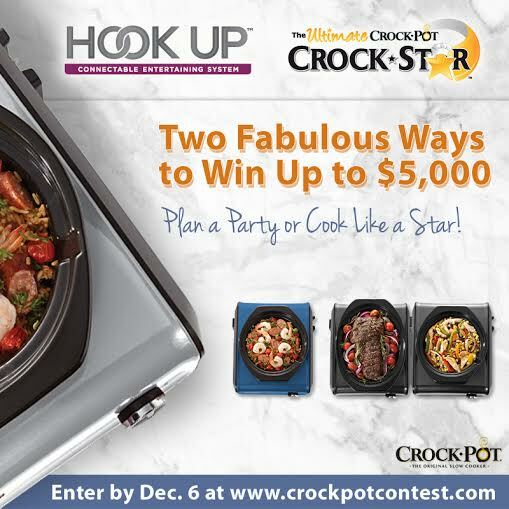 Right now, Crock Pot is running a contest where you have a chance to win $5,000! Who couldn’t use that right before the holidays? Click here to enter. Give me the scoop on your favorite crock pot recipes – I’m always looking for new ones! Sprinkle all sides of the pork shoulder with chili powder, salt and pepper, rubbing spices in with your fingers. 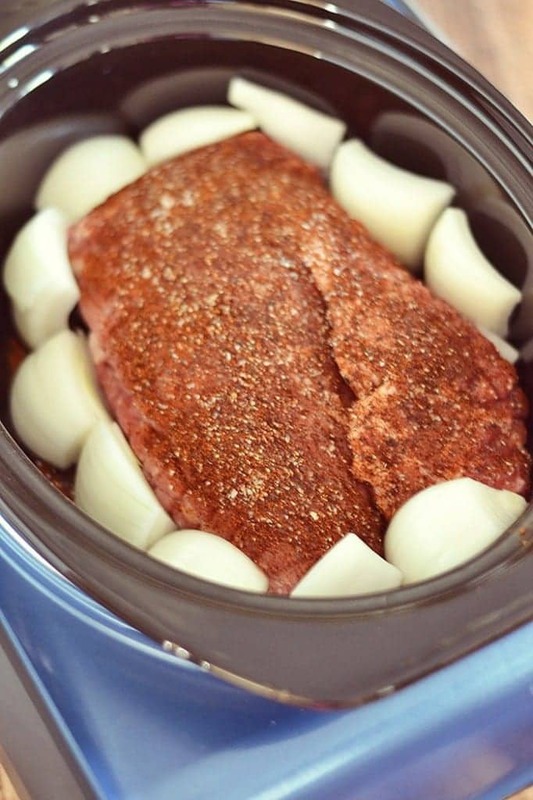 Place meat in slow cooker, and arrange onion wedges around the sides. In a separate bowl, combine root beer, peppers, and adobo sauce. Pour mixture over the pork. Cover and cook on low for 8 to 10 hours, or on high for 4 to 6 hours, or until the meat shreds easily with a fork. Remove meat from slow cooker and cool slightly on a cutting board. Pull meat apart into shreds. Pour the cooking liquid into a medium saucepan. Simmer the liquid over medium heat and cook for 20 minutes, or until the liquid is reduced and slightly thickened. Return shredded meat to slow cooker and pour liquid on top, stirring to coat. Disclaimer: this post was sponsored by CrockPot, but all opinions are 100% mine.